OLD PARKED CARS. 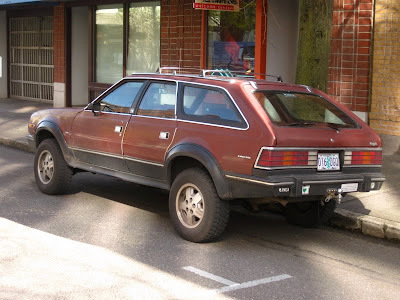 : 1985 AMC Eagle Sport Wagon. 1985 AMC Eagle Sport Wagon. Damn, those Jeep rims make it look even more agressive. Do want. 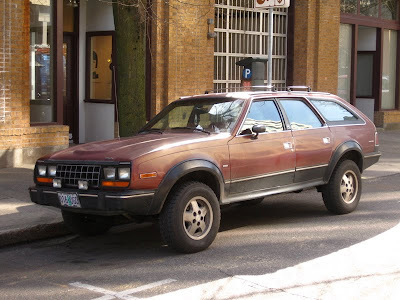 We had the Hornet, the 2 wheel drive version of that car. Loved it! 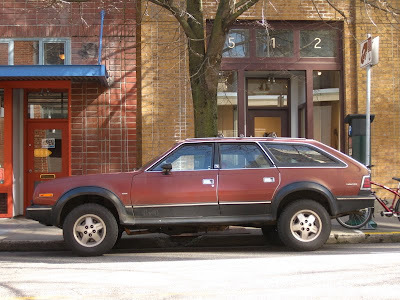 An eighties car with nineties styling, AMC was definitely ahead of it's time. 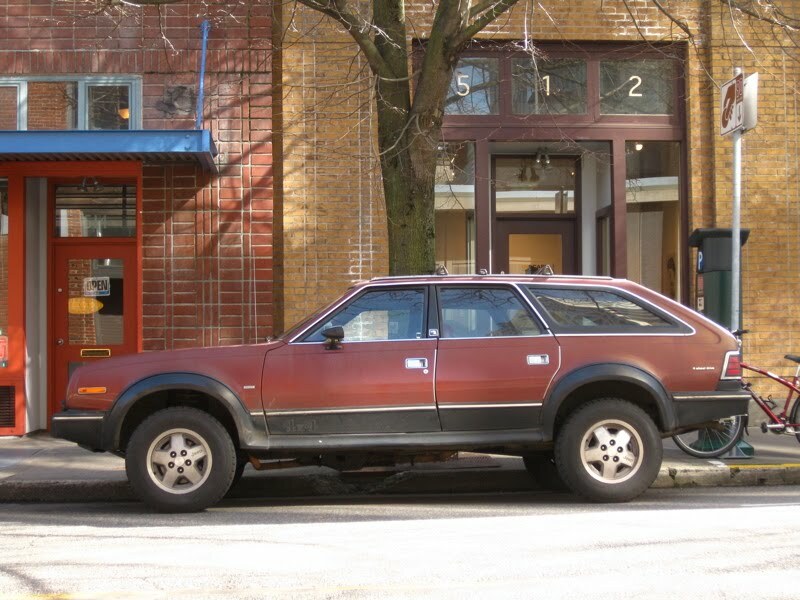 But with the Pacer, a bit too far ahead of it's time!